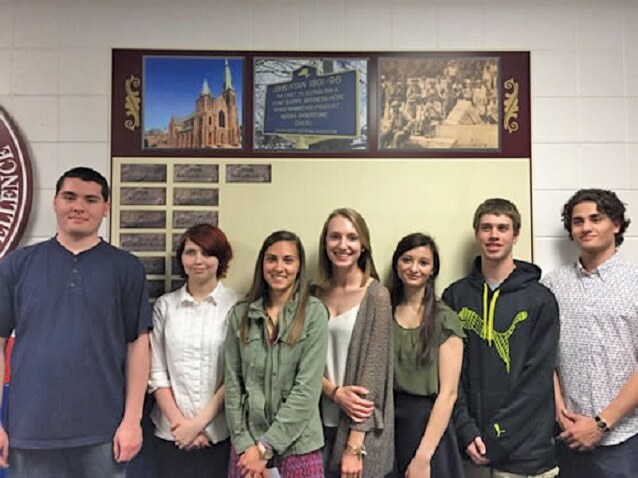 In May 2016, the second year members of the John Ryan Society participated in the unveiling of the John Ryan Honor Wall which is prominently displayed outside the history class rooms in the Medina High School. 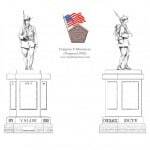 The goal of the John Ryan Society is to instill in the minds of Medina’s youth a heightened pride in the local community and encourage an understanding of their hometown history and heritage. 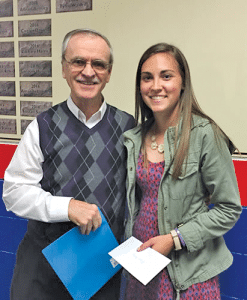 During the ceremony, MSS President Jim Hancock was pleased to present the 2016 Medina Sandstone Society scholarship award to Allison Bensley with a $500 scholarship. The third year for the Society is just beginning. 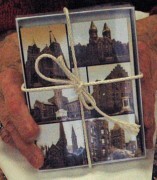 In recognition of this year’s bicentennial celebration of the start of construction on the Erie Canal, the Sandstone Society is asking the Society participants to write an essay on the Significance of the Erie Canal in the development of Medina and its potential contribution to the village’s future. 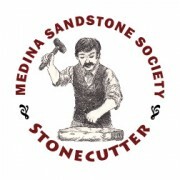 Sandstone Society representatives participating as essay contest judges for this year will include Steve Bunch, Susan Holland and Mary Zangerle. 2016 John Ryan Society students at Medina High School are (l-r) Zachary Harris, Alyssa Shortridge, Allison Bensley, Amanda Lunden, Caitlyn Davies, Gregory Husung and Tyler Waldriff.